a new generation of earth defenders. Each bar acts as a key on a piano activating sound to the touch. creating a unique orchestra of sound each time! In collaboration with international photographer Ellie Pritts and local architect Arturo Vilchis, multimedia artist and musician Saakred builds upon their 2013 Luminaria installation, Alumbramiento with FOUR. 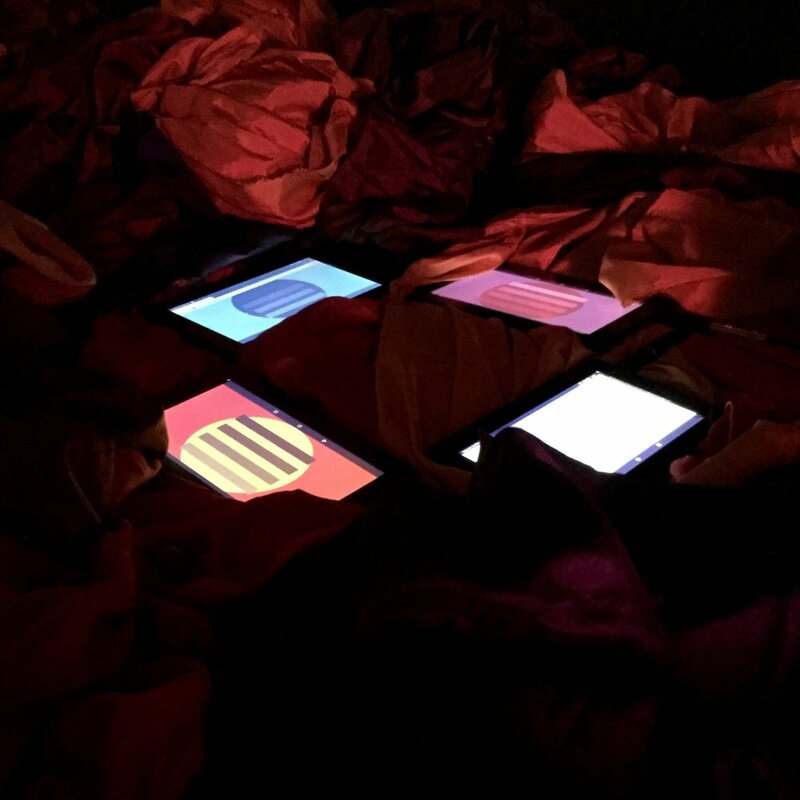 FOUR aims to create a fully immersive experience by creating a temple in which four participants have the opportunity to create an original, digital sound piece. Through new technology, participants will have the unique opportunity of collaborating with three other strangers, making this San Antonio’s first digitally interactive orchestra. A sacrament to the Elements. FOUR acts as a microcosm for the unpredictable entropic and harmonious movements of the Earth, while providing a hands on experience on experimental sound production. This installation aims at creating both contemplative and interactive actions in efforts of promoting and honoring ancient wisdoms that acknowledge the importance of the four seasons, four directions and four elements of planet Earth. Luminaria Arts Festival in San Antonio, Texas. Internationally recognized photographer for Vice, Pitchfork, SPIN, NME, and recently featured in TIME Magazine's "100 Photographers to Follow". Founder of Hippo, the world's first photo collaboration app. Mexican architect, filmmaker & photographer, born in Monterrey and currently based in San Antonio, TX.